Chain & Drives supply a large range of Chain from market-leading suppliers including IWIS, Kana, Senqcia (Hitachi) and more. Why use a Chain Drive System? LONG LIFE - Chain drive systems and in particular roller chain systems have a very long service life because the chain load is distributed over several sprocket teeth, keeping bearing pressures down in comparison to the power being transmitted. SURVIVAL - When chains are made, parts are constructed from heat treated & quality controlled material, ensuring an ability to withstand shock loads & rough conditions. 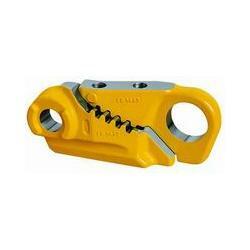 ADAPTABILITY - No need for specific lengths, replacement or adjustment of pulleys. Chains can be adapted to fit any installation transmitting a range of powers. Chain drives can also be driven from a single shaft to several other shafts. They can also engage on both sides of the sprocket allowing drive components to run in an opposite direction. EFFICIENCY - Chains transmit power with a high efficiency throughout the life of a drive system. Because the loads are evenly distributed throughout drive, there are no separating forces, bearing pressures or radial loads to waste power. Because of this bearing and frame sizes for the supports could be smaller, allowing for cost savings throughout the system. MAINTENANCE - Chain installation is very simple, only requiring alignment of sprockets on a drive. Most times this can easily be achieved using hand tools. 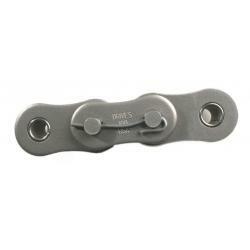 Chains are also relatively easy to maintain, having the ability to either connect or disconnect without drive disassembly. Chains can also be shortened or lengthened with ease using additional links. PRECISION - Roller chains are manufactured with precise technology. Due to the nature of manufacture, chains undergo rigorous testing to prove strength and life. Close control of roller diameters and other critical dimensions contribute to chains having a long life operating quietly yet very efficient. Chain & Drives supply the complete rage of chain attachments and links. 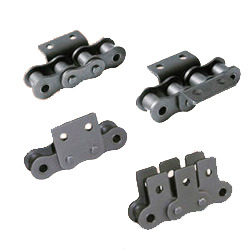 Links to suit ANSI series chain, BS series chain and conveyor chains. 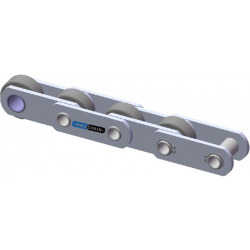 Chain & Drives supply the complete range of AS, BS and European standard conveyor chains, attachment conveyor chain and specialised conveyor chain. 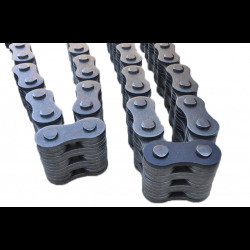 Chain & Drives stock the complete range of D.I.D Chain products including Roller Chain for Power Transmission, Small and Standard Conveyor Chains. 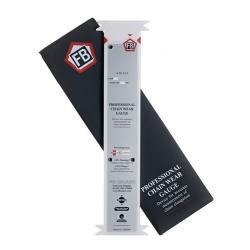 Chain & Drives is extremely pleased to announce its appointment as the West Australian distributor of the FB Chain Wear Gauge with stock now available. Our BS range includes 05B 1/4", 06B 3/8", 08B 1/2", 10B 5/8", 12B 3/4", 16B 1", 20B 1-1/4" 24B 1-1/2" 28B 1-3/4", 32B 2" & 40B 2-1/2" pitches. 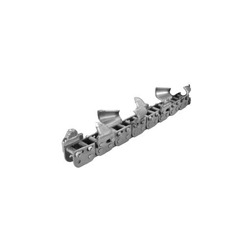 Chain stocked in simplex, duplex, triplex and quadruplex. 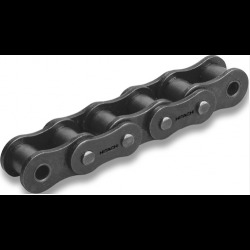 Owing to their excellent wear resistance and uniformity, matchless precision and a significantly higher tensile and fatigue strength than the norm, IWIS roller chains enjoy an above-average service life. Chain & Drives are proud to announce our new line of 'Ag-Guard' Agricultural Chain. 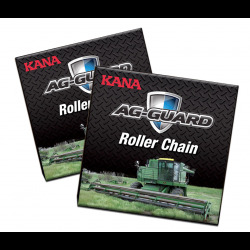 Partnered with KANA, a leading supplier of power transmission products and trusted name of farmers worldwide, Chain & Drives are now at the forefront of Agricultural chain technologies. 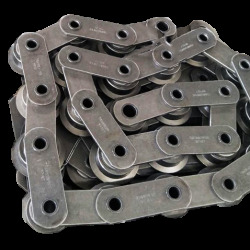 Leaf Chain is the most simple of steel chains, consisting only of link plates and pins. 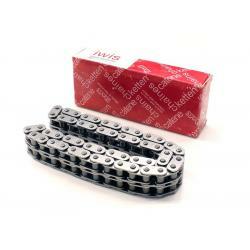 This chain has greater tensile strength than roller chains and runs over sheaves rather than sprockets. 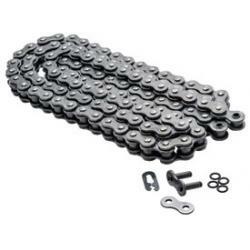 Chain and Drives supply Mackchain's large range of Chain including Roller, Agricultural, Leaf, Sprockets and more. Chain & Drives supplies Hitachi chain and sprockets suitable for the hire and earthmoving industry. 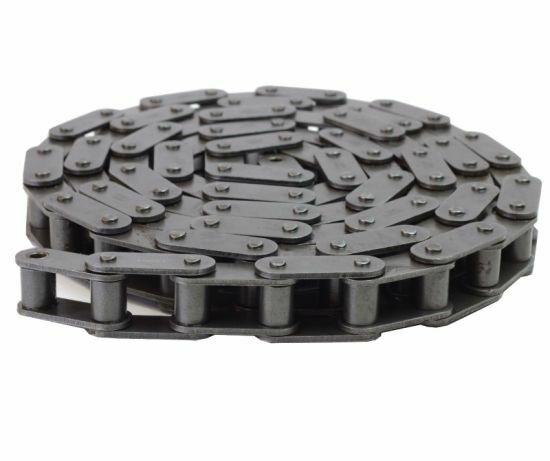 Chain & Drives offers a wide range of alternative Undercarriage products to suit major equipment manufactures and track chain installations used for shuttle conveyors and apron feeders on sites across Australia. Chain & Drives are the distributors for leading global brands including TransDrive Roller Chain. The TransDrive range includes all types of roller chain products.